Part 2 of my trip away – Singapore, care of a $1 flight from Penang on Jetstar (which changed the carrier to Valuair ). My friend recommended the new food court, called Food Republic in Wisma Atria for a well priced fresh cooked meal, and another friend recommended I tried the “Fried Carrot Cake”. 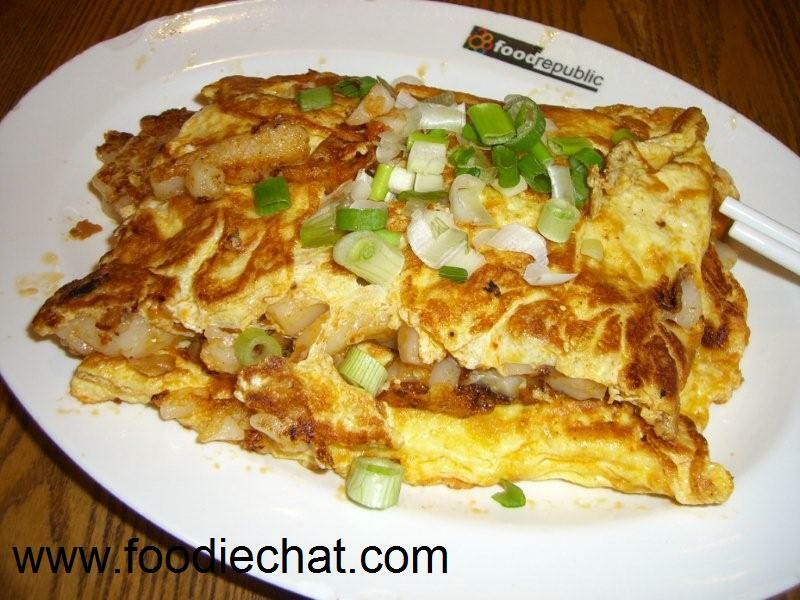 It’s basically a chopped up turnip cake stir fried in sambal chilli, and fashioned into a tasty omelette. Just S$3 a serve, I seriously loved it. The chilli was just a hint of what was to come! 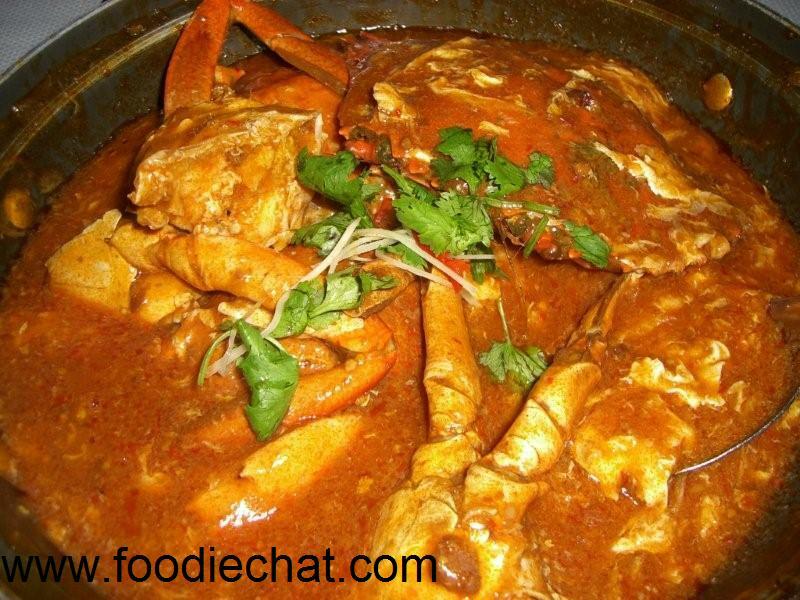 When one thinks of Singapore, the one thing that comes to everyone’s mind is Singapore Chilli Crab. What is acknowledged as the best place to get it not just by visitors and expats, but locals as well is Jumbo Seafood Restaurant. It’s a chain, and we went to the one at Clarke Quay, which is Singapore’s take on Southbank or King Street Wharf or Darling Harbour. The crab is sooooo meaty, with huge claws. The sauce is sticky, sweet, tangy, tomato-ey, with a hint of chilli, with egg through it. Order a mantou bun to dunk into the sauce! 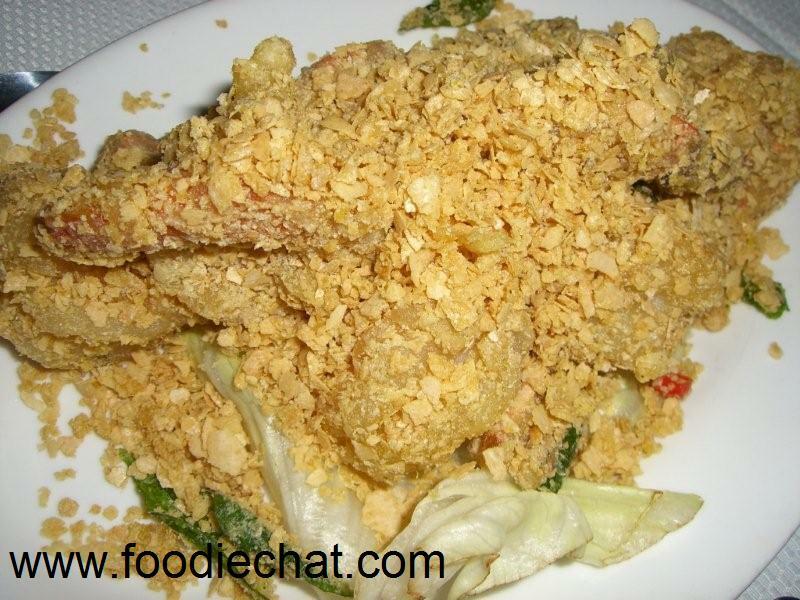 Another unique dish in Singapore is cereal prawns. You can have them shelled or deshelled. 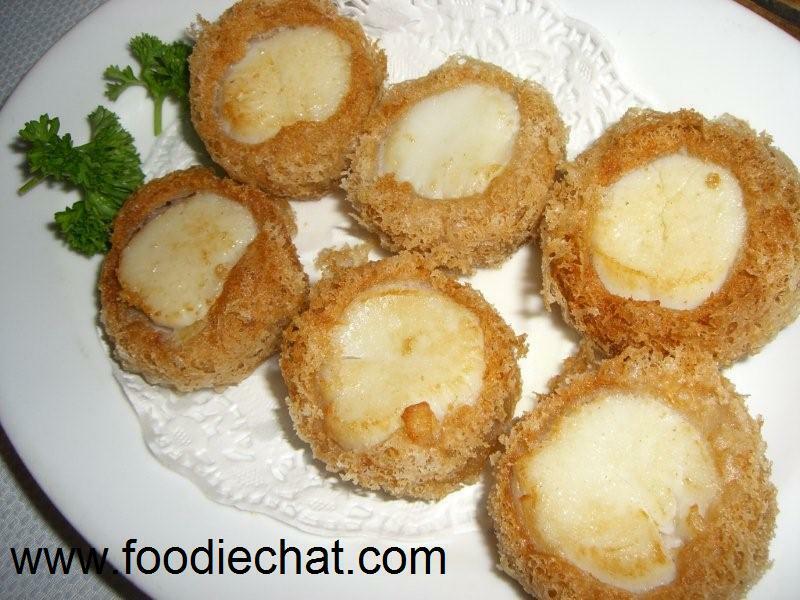 Basically they are coated in a sweet, crispy crumb not really like KFC, but not really like tempura either. I must admit, I was so-so on these because the sweetness was a bit over powering. One of my favourite dishes is taro scallops, and Jumbo does a great version – fashioning them into mini abalone shapes! 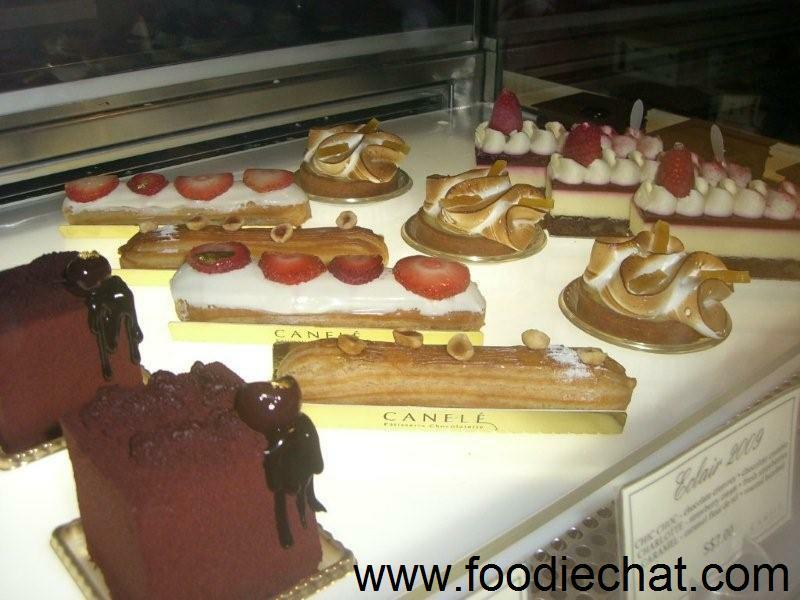 Wandering around Clarke Quay and over our way to Robertson Quay, my friend took me to an amazing patisserie, Canelle. Also a chain, these unique creations that are so haute cuisine just look way too good to eat. Having shared 1kg of crab between two and all those prawns and scallops, sadly our stomachs were groaning with the digestion task, and hence, we stood and looked and finally settled on one to share. This amazing chocolate dome has such perfectly smooth glacage, topped with the tempured chocolate dome on top was in fact a dark chocolate mousse cake with a hint of sour cherry in the moist centre. 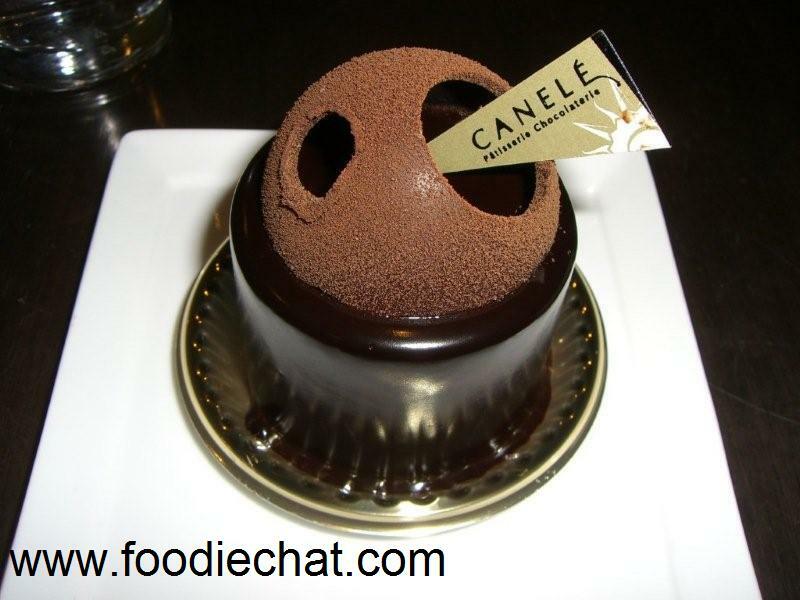 It was an architectural feat that the smooth creamy mousse could hold its structure so well. It definitely deserves to be admired before it’s devoured. S$7 each which isn’t bad for what must be so much work. 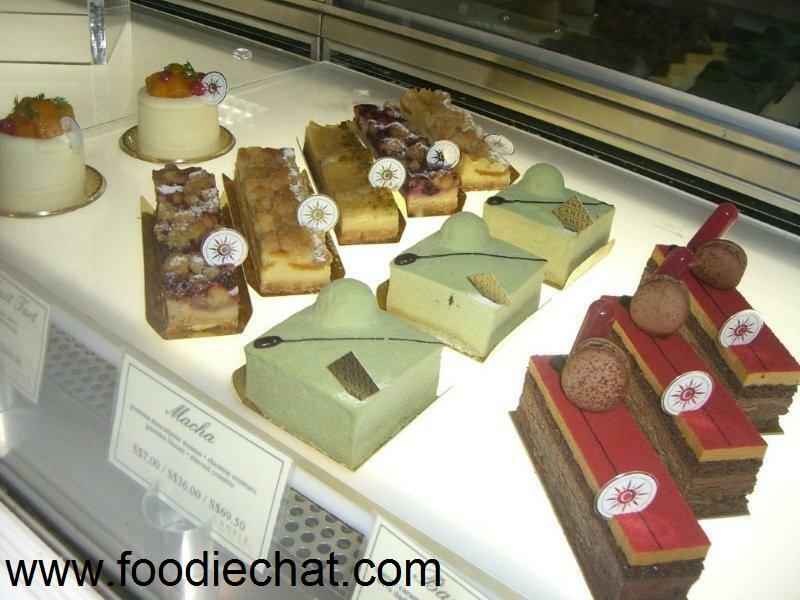 You are currently browsing the FoodieChat weblog archives for September, 2009.